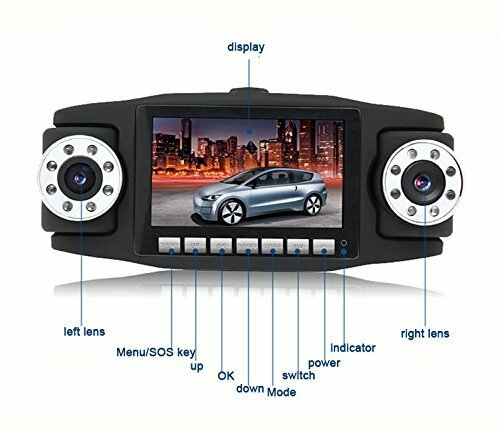 Dash board cameras take the frustration out of photography from the inside of a car when travelling. How many times have you been driving down the road (as a passenger that is) trying to take that magic shot of the FJ Holden coming towards you. Then when you load them onto your computer you see fifty percent of your own dash board instead of the car. It is so frustrating. Another thing we found is just as you line up that powerful eagle feasting on road kill on the side of the road, you hit a bumpy patch and you miss the lot. This did not deter me, although its annoying. They may have been magic shots that I would never be able to capture again. 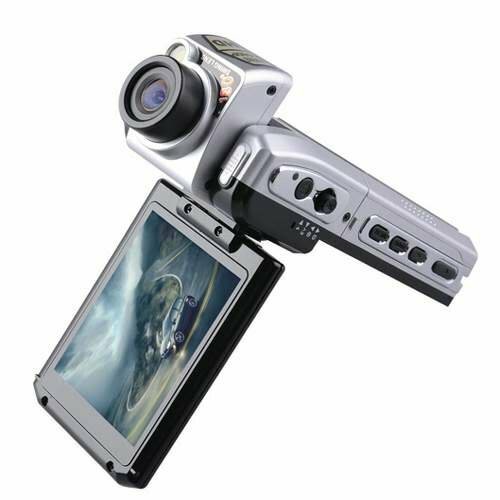 This is a great Dash camera with night Vision with a foldable and rotating screen so you will not miss anything. Has Auto Record Once Engine Starts. Which saves a lot of hassles. On our travels we saw a vehicle with a dashboard camera in the window of their car. My husband and I decided to do some research and this is what we found. Picture insert: This photo captured from my Dashboard Video camera of guy skateboarding all the way across the Nullarbor Highway. His backup was further up on the side of the road. By having a camera mounted on your dashboard you never miss that shot in front of your vehicle. Even on uneven roads you will still capture your picture. Like all videos, it does show some bumpy road movement. Like in this picture of the cattle crossing in front of us, you can capture stills from your video pictures, which is great because you would probably have missed this shot otherwise on a bumpy road. This is the type of photo I hated taking. There was a bird on the side of the road which I may never see or be able to capture again. Notice the reflection on the window of my Spot Messenger this type of reflection can ruin many great captures. Great for capturing bad drivers, its all their as proof - cameras do not lie. To be honest I have not found many- except that you do not have a lot of movement. You can only capture what is in front of you, which can be a pain at times. which will open the Google Maps so you can see where you see the track you are driving, speed date and time. Night Vision-Some dash board cameras have night vision which gives you both access to night and day captures. Waterproof- Many cameras come with a special cover preventing the camera and card from water damage. Motorbike Mount- Iphones can be mounted on motorbikes, some have gps navigation. A dashboard camera could save you a costly court case if you have one installed in your vehicle. Why not have some fun and do some cool things with your photos once you have captured them. I've never thought about using a dashboard camera. I guess I assumed the glare (or dirt) on the windshield would make for a poor picture. What has been your experience? Thanks Breidbe, Actually I love mine and is was only a cheap one. But it has a water proof cover too. Although I only use in our vehicle. No problems with glare, not sure why now that you mention it. I did mention in the article that you need to clean your window before you leave home. The same applies when taking any photos into the sun. We even have shots where it is pouring with rain and still good video and captured shots. Thanks xscottbx, I dont think it would worry them, in my opinion if neither of you have done anything wrong and your both innocent then I cannot see any hassles. They have been responsible for catching and proving what people have done wrong so I think they are a win win situation. Security wise I think they are great. But I love them because you don't miss anything. For instance like the photo of the photo of the skater in this article. Or an old renovated vehicle passing you on the road you would miss these if using a normal camera.